The answer quite simply is you should use a financial planner whenever you are going to spend a significant sum of money or any time that your or your families financial future is being considered. Perhaps you have had a child and you have read about the increasing costs of Education in South Africa. Perhaps you are thinking of buying a new home. The costs associated with buying a home need to be considered and the influence your changed lifestyle will have on your insurance, both car insurance and life insurance. Perhaps you are considering a job offer and need to know what will happen to your contributions to the company pension fund. Perhaps you have lost your job and are unable to afford all of your current obligations. A financial planner is a qualified professional who is able to advise you on all aspects of your financial future and financial security. A Good financial planner will be able to restructure or re negotiate payments on critical investments or policies while you are in a state of flux. But how do you know if the financial planner you have selected to talk to is in fact the type of person you can trust with your financial future? 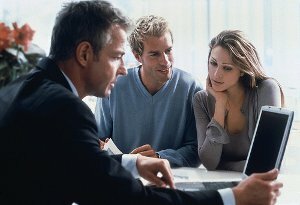 Firstly, listen to your instinct, you must feel personally comfortable with the prospective financial planner. Ask what his qualifications are and ask to see proof of these qualifications. Ask him how he is remunerated, is it on a commission or a salary basis. Ask what professional bodies he belongs to and then check to see that the he/she is in fact a member. Ask for references from people he has done financial planning for and call them. These are some of the questions that need to be asked and it is your responsibility to ensure that the person you entrust your financial future with is a financial planner that has your best interest at heart. Financial planning is an extremely personal issue and the person advising you on your financial future needs to be someone that you can trust and have a long term relationship with. Your financial needs will change over time and your financial planner should be there to guide you through every part of your financial future, be it catering for your retirement, saving for University fees or dealing with your life insurance. Ask the questions and check.. It is your financial future!